Seemorerocks: Is this an alien spacecraft? Is this an alien spacecraft? Despite backlash from colleagues in the scientific community, Avi Loeb continues to advocate his theory that the interstellar object, called Oumuamua, passing through our solar system is a part of an alien spaceship. He argues that other astronomers have lost their "childhood curiosity" and are too afraid of being wrong. In an interview with Chicago Tribune, Avi Loeb, head of Harvard University's astronomy department, shared that he has been working on an equation that will prove that the strange interstellar object, called Oumuamua and currently passing the orbit of the Jupiter, is a part of an alien spaceship. The astronomer thinks that Oumuamua is not a comet or asteroid, as his colleagues suggest, but a lightsail that was once the driving force of "advanced technological equipment". Loeb points out that the interstellar object is moving too fast for an inert piece of rock, as if it's being pushed from behind. He also doesn't think it's a comet, as observations of the object haven't revealed anything resembling a comet's tail. Loeb believes that the mainstream image of Oumuamua as a piece of potato-shaped rock is actually wrong. According to the astronomer, it's a kilometre-long and 1-millimetre-thick obloid lightsail, which is so light and thin that it's capable of "catching" the sun's rays and uses them as "wind" propelling it further into space. 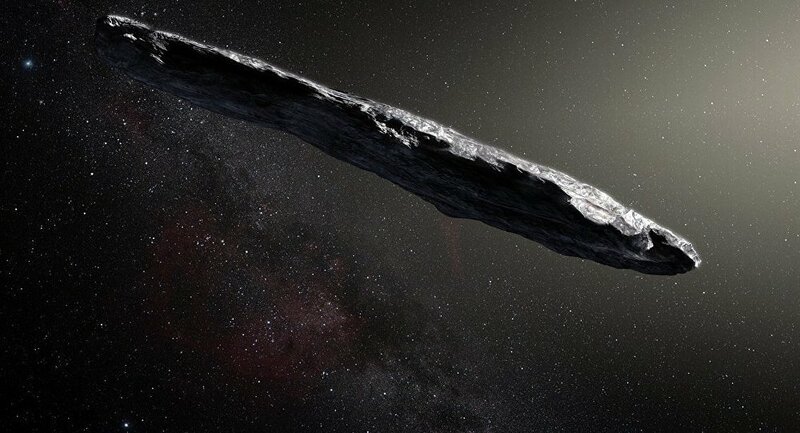 So far scientists have been unable to determine the exact shape of the object due to its complex rotation, but they suggest it is a "cigar-shaped" rock. The renowned astronomer has faced criticism from colleagues over his views on the essence of Oumuamua. Many of them have accused Loeb of publishing theories that he doesn't believe himself and of engaging in "sensationalist, ill-motivated science". However, Harvard's top astronomer remains adamant in his views and is demanding that his critics provide convincing arguments disproving his theory.